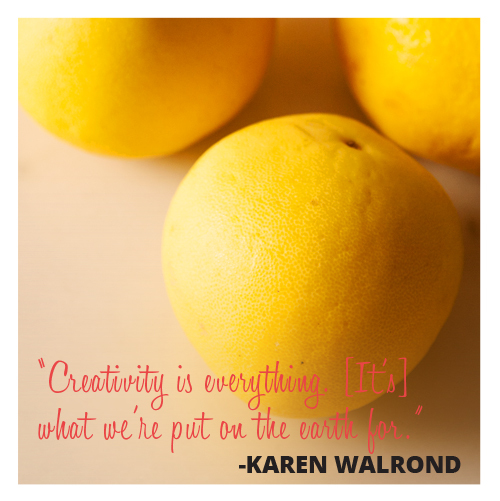 This past weekend I had the opportunity to hear Karen Walrond of Chookooloonks speak at Alt for Everyone, an online conference hosted by Alt Summit for design bloggers, lifestyle writers, and creative entrepreneurs. I was especially lucky that I was able to sit in on her keynote twice--picking up a different insight each time. One thing that was immediately apparent is that Karen leads by example and inspires us all to live a full life by following three C's: Creativity, Community, and Confidence. Karen Walrond, keynote speaker for Alt for Everyone, touched on three C's we all should live by and the importance of putting what you stand for out there for all to see. Her three C's to live by--creativity, community, and confidence--aren't ones that have always come easily to me. The three C's she talked about (not her six main points, but rather undercurrents through her session) are ones I've struggled with throughout my life and ones that didn't become central to my life until I got my golden ticket to Alt Summit 2013. My mom instilled in me the first C--Creativity. Burning Man taught me about the second C--Community. Alt Summit showed me the third--Confidence. 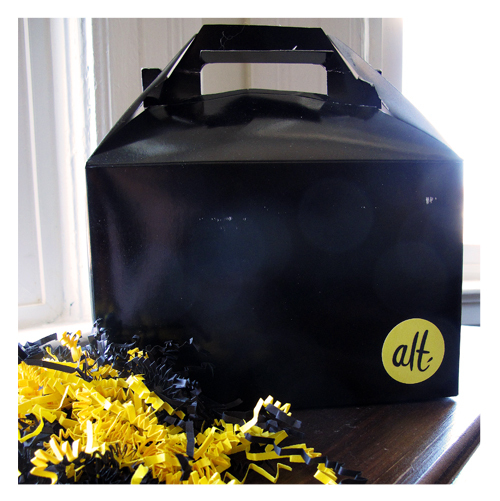 When I attended my first Alt Summit in January 2013, I felt like a fraud. The tickets had sold out so quickly, and here I was with one of those golden tickets. I questioned why did I deserve to have one of those tickets? Especially, when others, who hadn't gotten tickets, had bigger audiences and had been solely focused on their content, unlike me. Heck, I routinely used my blog and my social media channels as testbeds for programs that I'd polish and execute for corporate clients--not for me. My personal blog and social media were afterthoughts. All that changed the minute I got that golden ticket. By "got" I mean I paid for that ticket and saved up Paid Time Off. (Although by the time Alt Summit came around I was creating personally motivated content full time.) There are events that change our lives and show us what we stand for. My first Alt Summit (as was my first Burning Man) was such an event. 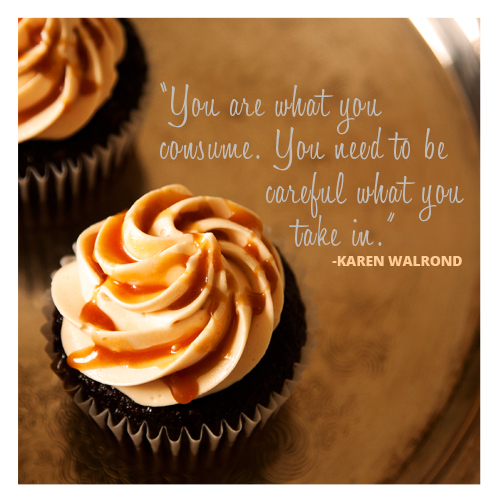 The following sections share Karen's thoughts on these essentials. "One thing I'm really passionate about is I think creativity is everything. I really do. I think creativity is what we're put on the earth for. And so the thought of not being creative and not letting my daughter see me be creative has never even dawned on me. I think it's really important for her to see her parent be creative, just as it is important for me to encourage her own creativity. And I think that is an intricate part of raising my daughter. To me, being creative is part of how I am a parent. It's what I want my daughter to see." "I'm very mindful of what I take in. You know how they say you are what you eat? I think you are what you consume. So I think you need to be really really careful of what you take in. And definitely stretch yourself out of the medium you normally work in. Look at other things." I would go a step further than Karen and limit who we surround ourselves with, choosing to be with those who support and energize rather than drain us. "I would describe myself as a confident person. And, I think that’s just come over time and getting sick and tired of feeling bad about myself. I’m a big fan of faking it until you make it, and so I did. I started pretending I was awesome and then I started thinking maybe I wasn’t so bad." 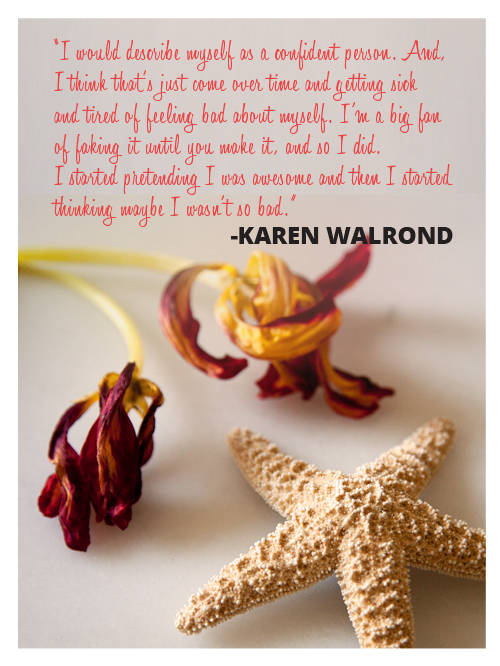 For her book, The Beauty of Different (*affiliate link), Karen interviewed Helen an executive she worked with at Haliburton. She asked, "How did you get so comfortable doing your own thing? Don't you ever look around at the other women executives, as few of them as there are, and go 'You know what maybe I should tone down my hair color and tone down what I'm wearing and sort of dress more like a mainstream executive woman should dress like." Helen responded, "You know a long time ago I learned I have to stop comparing. Because when I'm comparing, I'm actually comparing somebody's outsides to my insides." Karen interviewed another woman, Lori, a woman who had a cleft palette repaired and had a noticeable scar. Karen asked her how she could exude such confidence. The woman answered, "I decided I was going to create my own story and I wasn't going to let other people create it for me. And my story is I'm beautiful." 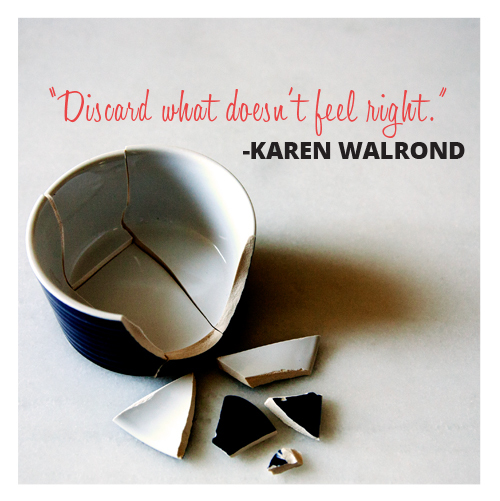 The stories Karen shared hit home for me because until recently I let others define my story. 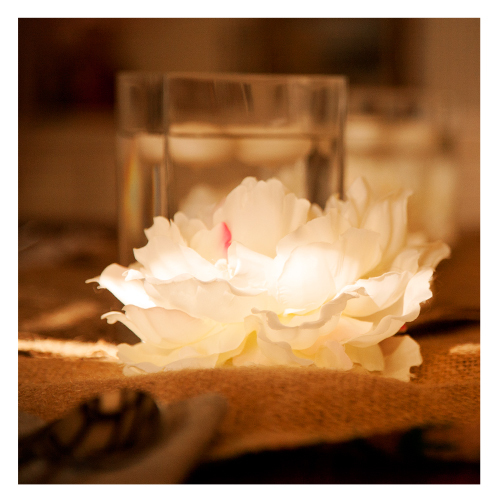 (My AHA moment from Alt Summit 2013 was to define myself by what I am, not by what I am not.) This past February I went a step further replacing "sincerely" with "genuinely" in my signature, a small but important gesture. Why? Because I believe everyone should let their personality shine; only by being a person can we truly be happy and be an agent for positive change. It also serves as a reminder that I won't change my outsides to match someone else's definition of what my insides should look like. When we got pregnant, cubes and I sat down and discussed at length whether or not I should mention we were expecting or even include mention of our daughter when she was born. Throughout my career, my childless status had been a reason employers and managers were willing to take a risk on me. (While it's illegal to ask a job candidate what their plans are for a family, it frequently came up in interviews.) We decided that not talking about my pregnancy or Gates was inauthentic; I felt very strongly that my corporate life match my personal life. I wanted to be a person, not a persona. We all have a why--a reason or purpose for what we do. For me? My why is about community and removing barriers to being welcome and enjoying a sense of belonging. I believe we can create a world where no one walks away hungry or feeling alone; a world where all appreciate and enhance their lives by being grateful for the "haves" instead of lingering on the "wants." I believe the only way we can create this world is if we begin putting the person back into our personalities and building welcoming inclusive communities that respect and value differences. I don't want to believe that I can't make a difference. If I help just one person, a little bit--if that just means bringing a smile to someone's face and changing how their day is going--that energizes me. And I don't care if that's woo woo or seen as weak. I want to lift up and be strong together. Are you willing to put it out there for all to see? DISCLOSURE: This post contains an affiliate link, followed by (*affiliate link). I feature products that I own or that I am considering purchasing. I own the book mentioned in this post. All opinions presented are my own. The Road To The Good Life is a participant in the Amazon Services LLC Associates Program, an affiliate advertising program designed to provide a means for sites to earn advertising fees by advertising and linking to amazon.com.